Butter is the best, right? It's a pastel yellow, cool and comforting, velvety dream of an ingredient with the power to make pastries rise and sauces smooth. Without it, we have homemade cookies that crumble, plain popcorn at the movies, broken or thin sauces, and unflaky pie crusts. Not to mention the fact that our biscuits would be left (tragically!) un-buttered. In the words of Julia Child, "With enough butter, anything is good." We whole-heartedly agree (though perhaps the county fair's "deep-fried butter on a stick" might be a step too far), but which butter is best? Below is a closer look at 6 different types of butter you may or may not have come across in grocery aisles and restaurant menus, plus a few other similar spreads for extra credit. By the end, your understanding will be as clear as clarified butter! This is your basic butter, and the one you're probably most familiar with. It's composed of butterfat (somewhere between 65 and 80%), water and some milk solids... but let's back up a bit to how butter is actually made. You see, butter happens when heavy cream has been churned and churned, and all the tiny fat globules begin to clump together so tightly that a solid spread forms. Extra liquid that separates out during this process is called buttermilk, and can be poured off for later use. Sound easy? It is, and very rewarding at to make at home if you've got a few extra minutes and some very high quality cream on hand (a hand mixer or immersion blender helps as well!). If you prefer to stick with grocery store selection, you'll find it in the dairy aisle in salted or unsalted versions. Butter that's labeled as "organic" is made from milk from cows that aren't exposed to pesticides or harmful chemicals. "Grass-fed" butter comes from grass-fed cows, and can have a richer yellow color due to a higher carotenoid content derived from the cow's diet. Our tried-and-true go-to comes from the pasture-raised cows and dedicated farmers of Organic Valley! This butter is neither a world traveller nor the top student of your global studies class. By "culturing" heavy cream - that is, adding live bacteria to it - before churning, you get a butter with a desirable higher-fat content, making it richer and silkier to the tongue. The bacteria also gives butter a more complex, tangy flavor (mostly from lactic acid), and can aid in digestion, which is great news for those who steer clear of dairy to avoid an upset tummy. Although it's most common in Europe, cultured butter has been gaining popularity and demand in the States over the last few decades, and several grocery stores stock both salted and unsalted versions. 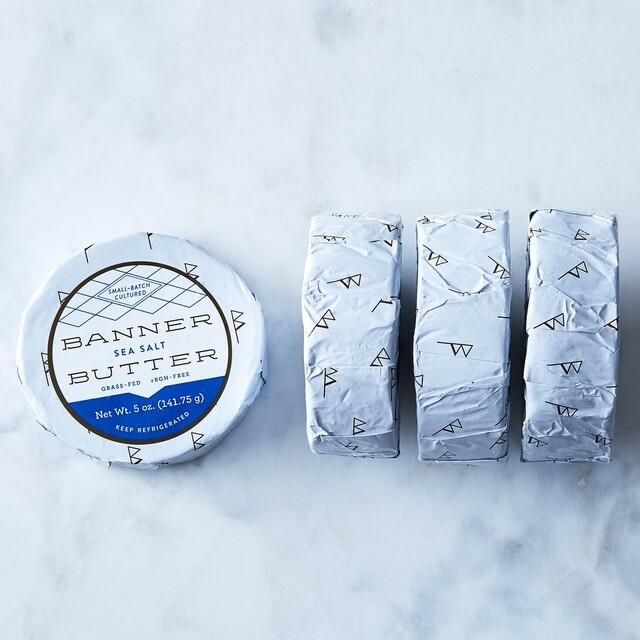 Our friends at Banner Butter right here in Atlanta make some of the best, including some compound butters like Roasted Garlic, Basil & Parsley Butter. This butter has had milk and air whipped into it, giving it a fluffier texture. Whether you choose to buy it off the grocery shelf or make it at home, whipped butter melts and spreads more easily than regular butter, and can be a good way to "stretch" butter when serving a crowd. It's also a great way to stretch butter for those who want to control their saturated fat and calorie intake, but also aren't in the mood for dry toast! Fold in fresh herbs, garlic, or bold spices into butter, and guess what? 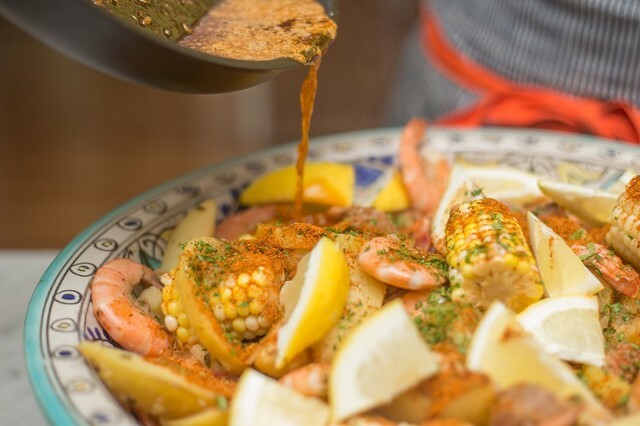 You've got a rich, flavorful spread that's the perfect accessory to everything from grilled meats and seafood to oven-hot rolls. A scoop of herbed butter melting over grilled filet mignon, a side of melted paprika butter to serve with Low Country Boil, some cinnamon-spiced spread for your breakfast muffin... the possibilities for compound butter end only with your tastebuds and imagination! 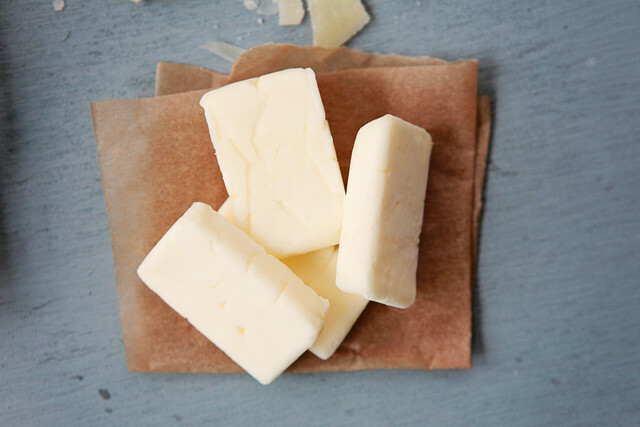 Remember when we said that your basic butter is made up of butterfat, water and milk solids? Well, when you heat butter in a hot pan, the water in butter evaporates out- you’ll see this happening as it begins to bubble away. Next, you’ll see the butter foam and progressively turn darker while developing dark brown flecks. This happens when the milk solids, which consists of lactose sugar and proteins, undergo the maillard reaction (the same browning reaction that gives bread its nutty crust!). If you want to give your favorite chocolate chip cookies or herbed orzo recipes an extra warm flavor "hug" (trust us, you do), definitely take a few minutes to brown your butter next time. 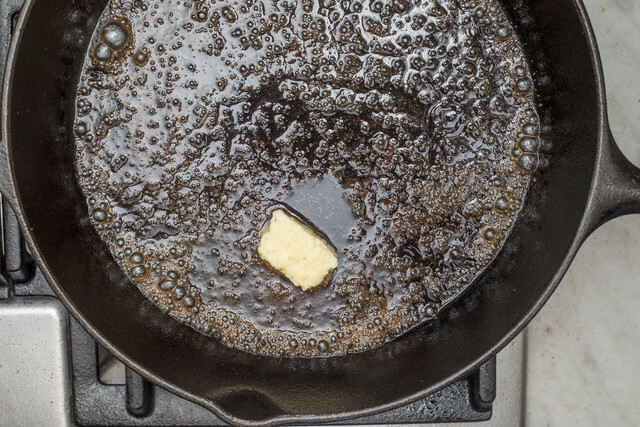 To "clarify" butter means to rid it of anything but the butterfat. Without that water, it has a longer shelf life, and without the milk solids, it has a higher smoke point for cooking. While you can buy it at the store ("ghee" is a type of clarified butter) it's very easy to clarify your own butter at home; it's similar to making brown butter, except at a lower temperature, and you'll strain out the milk solids with a cheesecloth after they've separated out onto the bottom of the pan. Margarine - This spread was created as a substitute for butter in cooking and baking in the 1800s. While the original recipe called for animal fats like beef tallow, these days it's made with refined vegetable oils, salt, emulsifiers and sometimes milk. Because vegetable oils are low in saturated fat and therefore liquid at room temperature, manufacturers must use complicated processes to reach that thick, butter-like consistency. The most controversial is hydrogenation, which is a molecular-level process that can result in trans fatty acids which have been proven to increase the risk of coronary artery disease and diabetes when consumed. Thankfully, the FDA has mandated that manufacturers can no longer produce trans fats during food processing by June of 2018, and margarine producers have responded by altering their products to have little or no hydrogenated oils whatsoever. Regardless, we'll be sticking with good ol' real-deal butter in our kitchen (and in your meal kits!). Clotted Cream - Like a delightfully decadent combination of whipped cream and butter, this fluffy spread is popular in the UK, where people smear it on scones over tea. It's not very shelf-stable, which explains why it hasn't gained as much traction around the world, but you can make your own at home very easily as long as you have high-quality, high-fat cream on hand. Oh, and you'll want to have some biscuits around, too. Peanut Butter - We probably don't need to tell you that peanut butter and other nut and seed butters aren't churned like sweet cream butter, but they are smooth, rich and great on toast and in sauces. They also have lots of protein and fiber and other essential nutrients - as well as fun nutty flavors - that regular butter doesn't, so don't be afraid to get creative and shake it up every so often!